You guys! I went to a Pie Party! Can you believe there's a party just to celebrate pies? Yes. It's a real thing. OK, let me back up and tell you about it. The Pie Party Potluck is a foodie event (food blogger and food professionals) where the "entrance fee" is to bring a pie that you made! Both savory and sweet pies are welcome. I first met one of the organizers, Jackie Gordon, at a food blogger conference, Techmunch 2014. At that time, I found out about the Pie Party and I immediately wanted to join in! Jackie organizes this event along with her dear friend Ken and it is graciously hosted by the Institute of Culinary Education (ICE) at their brand new facility in NYC! Upon hearing that the Pie Party (#PiePartyICE) was being held this October, I quickly signed up to participate! I then had to determine what pie to make. This was probably the most difficult part! As this was my first Pie Party (even though this is actually the 4th Pie Party that has been held), I wanted to go for familiar flavors, which immediately pushed me into s'mores territory. 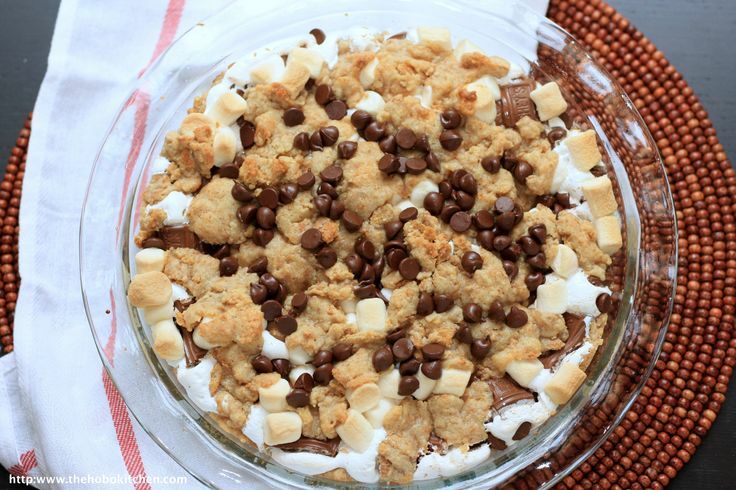 Because who doesn't love s'mores! PS - If you're interested in seeing the pies that graced the event, here is a list of the Parade of Pies! It's Thanksgiving everyone! I'm usually not super excited for the holidays, but I really am this year. Perhaps it's because I'm heading to the Bahamas to enjoy 70 degree weather this Christmas? Yes, I'm sure that's a part of it. My friends organized a Friendsgiving event this year. In case you don't know yet, Friendsgiving is a Thanksgiving dinner which is organized for friends. Pretty self-explanatory, no? Well, I was instructed to bring a dessert. Of course I then thought of all sorts of elaborate desserts I could make, but in the end I realized that it's probably better to keep things simple and (mostly) classic. It's funny how food and the experience surrounding it have evolved in just the last decade or so, but for most folks, you MUST NOT mess with a traditional Thanksgiving or Christmas dinner menu. Anyways, I was trolling the internet, like I do, to find a few potential recipes for traditional fall desserts. I ended up finding a recipe from Betty Crocker where a praline topping was added to a pumpkin pie. Now I like pumpkin pies, but I LOVE pecan pie. And Betty Crocker recipes take me back to my childhood when my mom had one of those huge Betty Crocker cookbooks that we would cook out of. I needed to make this! It doesn't hurt that it's a super simple, easy, and tasty recipe either. Excellent! Whew. This month has been a crazy one! I am currently writing this blog post while sitting on a train to do a show down in Baltimore because...when else would I have the time! OK, I know it's my own fault for agreeing to do anything that anyone even remotely suggests to me. I just can't let myself sit still for too long! Anyhow, since I had several activities planned in October/early November, I opted to make something simple for this month's Secret Recipe Club. I had the pleasure of being assigned Marsha's blog, The Harried Cook, this month. While I was intrigued by the apple and oats muffins (yes! ), the walnut muffins with coffee glaze (what! ), and the homemade boursin (omg!) this simple apple tart really called out to me. 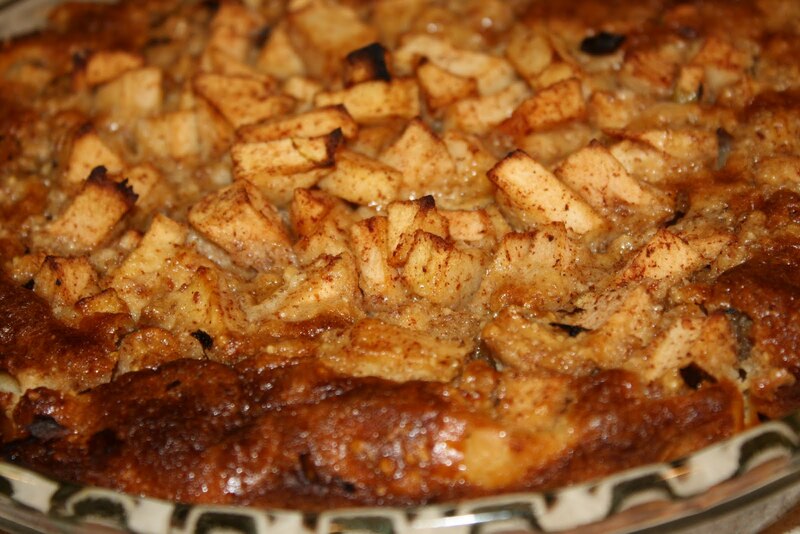 Every Fall, I try to make at least one new recipe with apples. I've really had a long, long moment with apples this year. I've started eating several apples a week which is a lot for me, especially if you knew me a few years ago. 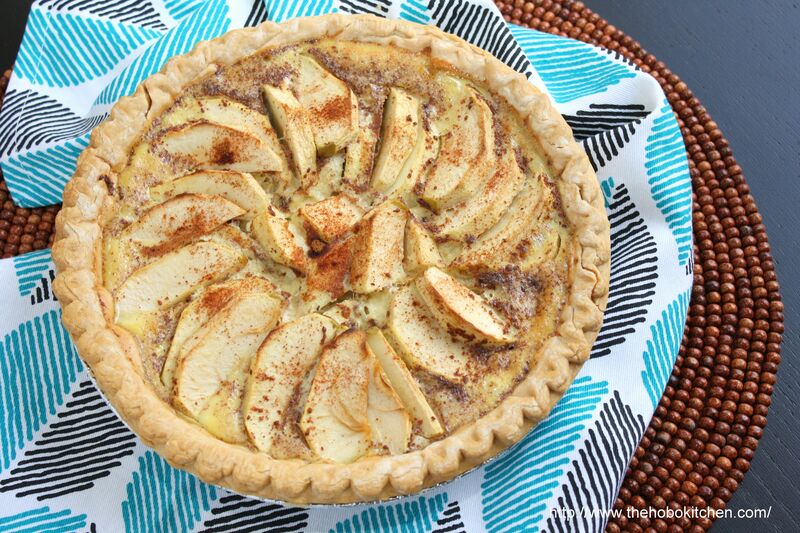 I knew I needed to squeeze in an apple recipe before Fall deteriorates into Winter, so this apple tart fit the bill quite nicely. Marsha was super amazing and made the crust for this herself. I am not quite as industrious and chose to go the store-bought route. I swear I'll start making pie crusts soon. Just not yet. This tart was so delicious. 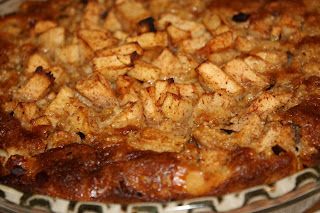 I love that the filling is custard-like and I really enjoyed it paired up with the apples. Check this one out folks! I've been away from the blog for a few days. I had another foot surgery y'all (on the other foot), so unfortunately I've been out of commission since Thursday. But what can you do, other than pop some pills and move it along? Let's talk about this pecan pie and how I've loved/hated it for the past few months. 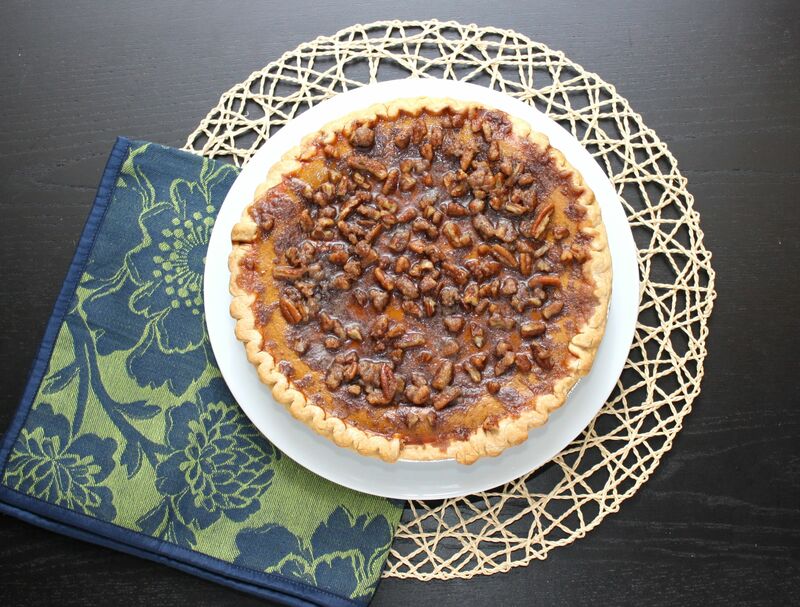 I have a deep-seeded love of pecan pie. This love developed over the past few years and every year I just can't wait for fall weather, pumpkin spice coffee (preferably from Dunkin Donuts, but I can't totally diss Starbucks) and pecan pies to roll around. However, I somehow got sidetracked this past year. In the madness that was Thanksgiving and Christmas and pretty much every day in between, I was unable to secure myself even one (one!) slice of pecan pie. When 2013 rolled around, I refused to believe that things had gone down like that. Nope. I would make myself an entire pecan pie to share with friends....aka not share with friends and eat all by myself. Possibly.